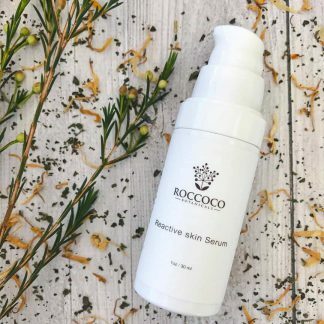 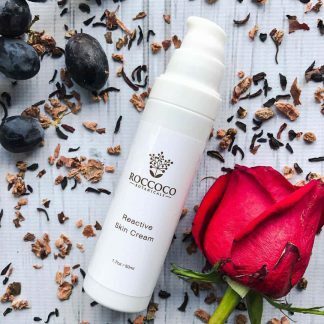 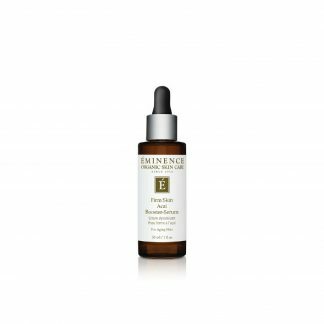 Roccoco Reactive Skin Serum contains a unique Couperose Complex which is a powerful blend of herbs and photo extracts to reduce the vascularity of the skin and blocks inflammatory pathways. The serum strengthens fragile capillaries and reduces the appearance of redness and flushing in the skin as well as capillary overgrowth. 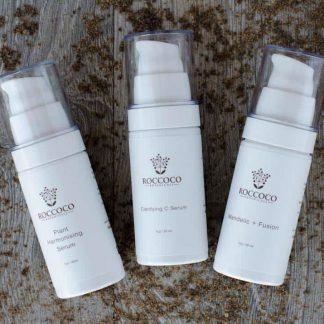 Apply 1-2 pumps onto a clean skin and apply after treatment lotion or toner. 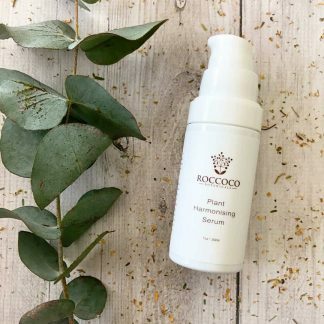 Apply morning and night. 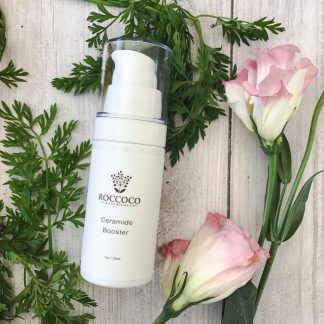 Can be used in conjunction with Clarifying C.
Water, Humulus Lupulus Extract, Acetyl Tetrapeptide-40, Red Clover Extract, Helichrysum Italicum Extract, Resveratrol, Urtica Dioica Extract, Bellamcanda Chinensis Root Extract, Hibiscus Sabdariffa Flower Extract, Populus Tremuloides Bark Extract, Hyaluronic Acid, Rosmarinus Officinalis Extract, Glycyrrhiza Glabra Extract, Caprylyl Glycol, Zinc Sulfate.